Apple probably has a beautifully designed Echo competitor in a lab somewhere, but Siri needs to improve before it sees the light of day. As much as I love my Echo, one of its major downsides is that it is, by nature, tethered. Both the Echo and the smaller Echo Dot have to be plugged into power, which means that they’re generally stuck in a single room. Have an Echo in your kitchen, but want to use it your living room? You either have to unplug it and drag it in, then wait for it to start up again (not exactly convenient) or you choose the solution that would surely make Amazon a lot happier: buy a second Echo. These days, a ton of Apple’s energy is focused on portable devices, whether they be laptops or smartphones, and that’s made the company second to none when it comes to battery tech and power management. Creating a Siri Speaker—for lack of a better product name—that also features a rechargeable battery and can thus be picked up and toted from room to room, or even out to the backyard, could be a great differentiator. Borrow the same low power M-series chip that the iPhone uses to listen for the “Hey Siri” trigger and you could probably squeeze some pretty good battery life out of it. When you’re done, just pop it back on the included charging base and there you go. Extra points if the company includes a handle, à la the original Macintosh and the iBook. 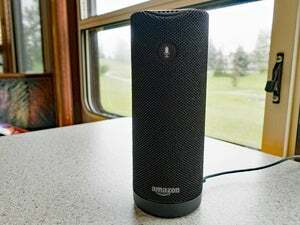 Amazon did make a run at a battery-powered Alexa speaker with the Amazon Tap, but the device is, by most accounts, underwhelming; it actually requires you to press a button to summon Alexa, which dispels a large part of the original device’s charm. I trust that’s a hurdle that Apple could surmount. I’m no audiophile, so I find the Echo’s internal speaker to be largely sufficient for listening to the radio, podcasts, or even music while cooking dinner or washing the dishes. But stacked up against, say, my Sonos Play:1, it’s not hard to tell which comes out on top. The AirPods have voice control and easy pairing, both lessons Apple could apply to a Siri Speaker. Given Apple’s long history of music products, its touting of music as “part of its DNA,” and its multi-billion acquisition of an audio company, it seems a foregone conclusion that creating a great-sounding speaker would be a priority for the company. Especially since such a device would no doubt have close integration with Apple Music—heck, I’d imagine that’d be one of its major selling points. Apple’s been down the speaker road before with the late iPod Hi-Fi. While critics knocked a lot of its features (or lack thereof) and its hefty price tag, its audio quality generally received positive marks. So the company clearly has audio chops. For the most part, Apple’s devices have earned plaudits for their ease of use. Not that there’s that much in the way of user interface for a voice-based speaker. But with recent products like the fourth-generation Apple TV and AirPods, the company has shown how much attention it gives to the ease of setting up such a device. With some combination of NFC, Bluetooth, and Wi-Fi, setting up an Apple speaker would probably be as easy as tapping your iPhone on it. 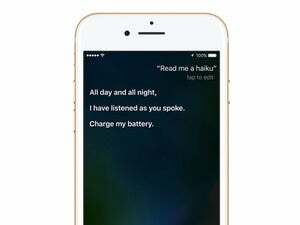 Siri already has some skills that would be perfect for an intelligent speaker, but Siri needs more third-party integration to hold a candle to what Alexa can do. Likewise, close integration among its products is an Apple hallmark. Streaming audio from an Apple device shouldn’t require any cumbersome pairing, though the company does have a challenge in that department: only a few weeks of using my Sonos has confirmed for me that its wireless audio streaming is vastly superior to the finicky AirPlay. The device would also no doubt tie in to Apple’s HomeKit, perhaps serving as an automation hub like an Apple TV, and automatically connect with all of your data in iCloud. Given the company already has its own well-developed ecosystem, that opens up some opportunities where Amazon has had to resort to third-party integration. None of which is to say that Apple doesn’t have some challenges to overcome in creating such a device. Alexa has proved itself to be well-designed at answering most of the queries that its users ask of it, while Siri sometimes finds itself coming up short on the same sorts of questions. That’s one reason I’m sure a Siri-powered speaker isn’t in the offing for another year—Apple’s only just started to open up Siri to developers, and that’s an area where Amazon has a substantial head start. Apple still has plenty of developer relationships to leverage, thanks to its huge app ecosystem, but it’s going to be a while before the company catches up on the ground Amazon’s already staked out. And that’s OK. Apple’s strategy isn’t to be the first to move into a category, it’s to benefit from the experience of others and build a stronger product. The Echo has proved that a speaker containing an intelligent agent is viable, and now it’s up to Apple to prove it can be done better.